If you have read any of our recent blogs, you know we have been covering updates and trends of the various industries we work with at GCMS. From gas to energy, we want our customers to be aware of current happenings and changes that could effect their businesses and costs. Our final industry we are going to share some news about is the Electric Power Industry. As a consumer, this is a very pertinent topic to you with utility costs falling in this industry. We are going to prep you for the coming year with the top 5 trends we are seeing in the Electric Power Industry. As the federal government takes a back seat on clean energy policies, proactive states are making effective changes. States like California, Vermont, New York, Oregon and others are pushing clean energy standards, In particular, Hawaii is a top leader in the movement by targeting 100% renewables by 2045. Some states are protecting existing clean generation, with programs in New York and Illinois to save nuclear plants and provide them with extra compensation for their carbon-free attributes. Carbon regulations get all the headlines, but whether coal power enjoys the resurgence predicted in EIA forecasts will depend as much on natural gas as the repeal of the Clean Power Plan. The reason is that natural gas sets the standard for power generation in the U.S. today. Due to their low cost and flexible generation capabilities, combined cycle gas plants typically set the prices in wholesale power market auctions, helping determine the dispatch order for other resources. Coal power has had its ups and downs the last decade, mostly downs. Low natural gas prices and increased environmental regulation have lead to many many coal plants were not able to keep up with the competitive nature of the industry and forced to shut down, leaving hundreds of workers unemployed. Since 2000, utilities have announced more than 100 GW of coal generation retirements; in 2015 alone, nearly 14 GW came offline, accounting for 80% of the plant retirements that year. Those trends were set to accelerate under the EPA’s proposed Clean Power Plan, the nation’s first set of carbon regulations for existing plants. The Clean Power Plan was put on hold by the Supreme Court last year. The Trump administration has promised to cancel it outright with plans for a replacement. If this happens and a new regulatory plan is not put in place, it could give remaining coal plants an opportunity to grow and excel again. An ongoing change that we should be aware of is in business models and market structures. The combination of customer involvement and advancement of technological choice is paving the way for new business models for incumbent utilities. For example, with the increase of community energy projects and new options for households such as solar roofing and battery storage, utilities have a profitable opportunity to develop new businesses offering services related to these enhancements—from installation, maintenance, and reliability services. 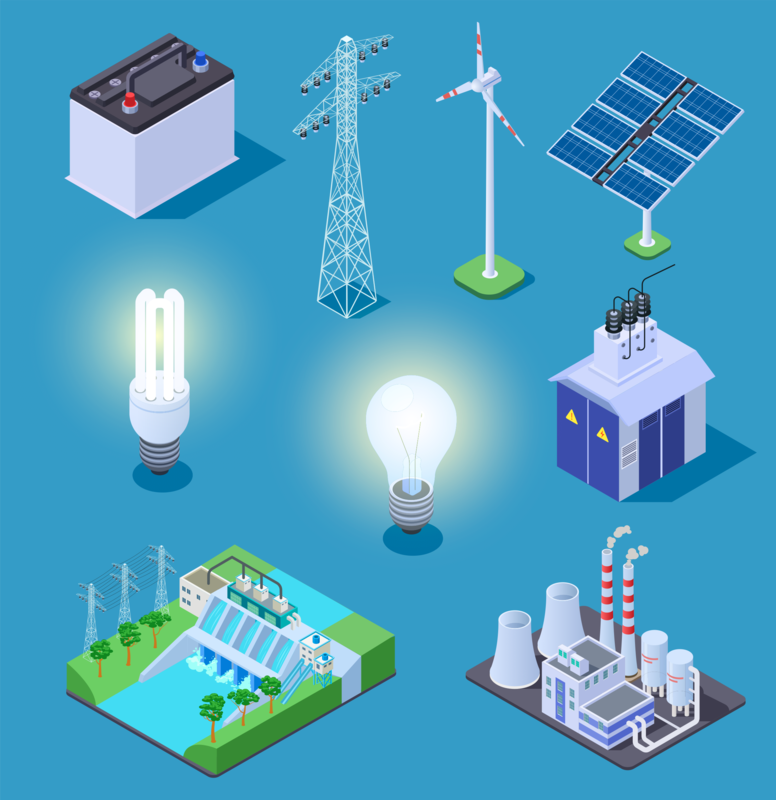 As you can see from these trends, the Electric Power Industry is on the forefront of upcoming changes in the Industrial world. We can expect to see many improvements and advancements within utility and power services in the next decade and hopefully save consumers money in the process. GCMS wants to improve your plant’s productivity and make your processes more cost-efficient with our services. Contact us here to see how we can help you make a change today.